The Houston Rockets are a very good three point shooting team. I promise. As a team they're devoted to creating, finding and taking open shots from behind the arc. I know what it's been like lately. Those games aren't really indicative of a normal night for them. This win against the Chicago Bulls, however, is a lot closer to the truth. And it's about time. 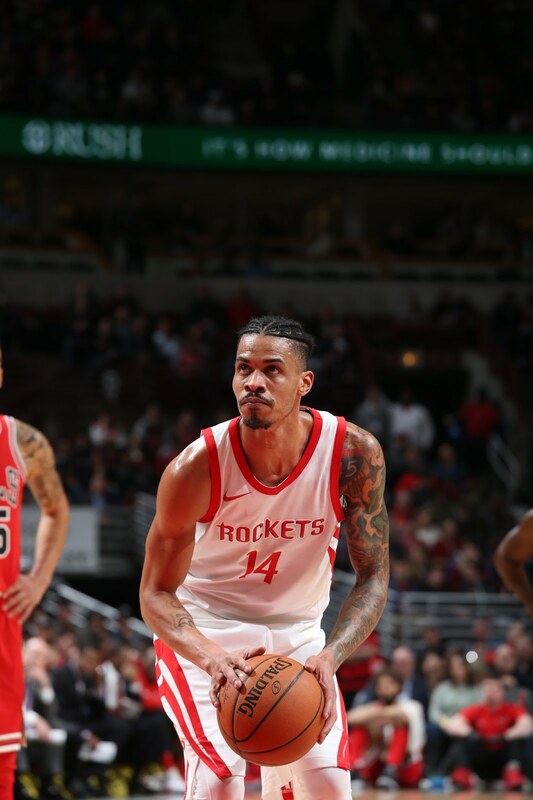 Many things have gone against the Rockets lately, not the least of which are factors they can control like effort and communication. Some of them, like injury and poor shooting, could only be addressed by just waiting for the storm to pass. At least for one evening, the shooting storm blew by, leaving the Rockets in commanding control for about half of this contest. The Rockets shot 37% from deep, hitting 20 of their 54 tries. That's good. It's not ridiculously good, but it's above average and more than enough for the Rockets to pile up multiple large leads. The shooting sputtered during the middle of the game, giving the Bulls brief leads early in the third quarter. The defense was intermittently discombobulated, heeling lead to Chicago's mid-game comeback. It wasn't enough, however. The Bulls used an advanced defense that teams have been leveraging against Houston lately: Let them shoot. To be fair, Houston's offense is elite (As long as Harden or Paul is present) and tends to leave teams with only bad options at their disposal. On the other hand, the Rockets still missed a bunch of open looks, but that bunch was a pretty normal bunch of misses. It wasn't perfect but it was normal, and their normal is better than what the Bulls had to offer. 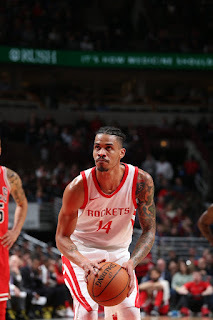 The star, of course was Gerald Green again, who shot 8-15 for 22 points. Green is always willing to check his heat, and he's always ready to shoot. When he's hitting threes at a fever clip as he has been lately, that's a great thing for the Rockets. This spell will break, but while it is, it's a hell of a ride. And honestly, it's about time?